Our fundraising team are here to help you find your perfect challenge and will provide training and fundraising support for whatever event you choose to take on. Take a look below at the events we’re currently running or, if there is an event that you would like to take part in that is not listed, get in touch… we’d love to discuss your idea. 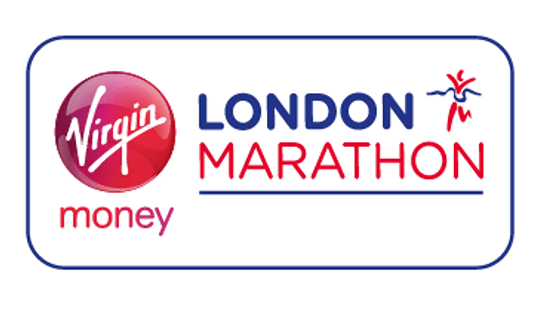 On the 28th of April 2019 the London Marathon is returning to the capital’s streets for the world famous challenge event. This iconic race needs no introduction, drawing relative running newbies to some of the sport’s greats, to the nation’s capital every year. For the 2019 race, we are delighted that we have a few spaces to allocate to those wanting to run in aid of the Foundation. There is a fundraising target of £1500 which will help fund and maintain our programmes, enable us to continue to positively impact the lives of our participants. You have until the 14th of January to register your interest, so please email emmawilson@saracens.net. Buckle up for a Foundation Takeover! 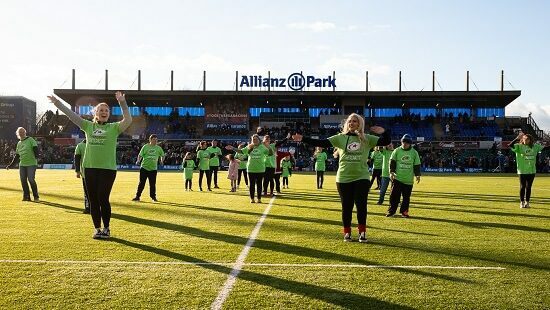 The Saracens Sport Foundation is taking over the Saracens vs Exeter Chiefs game for the final Foundation Matchday of the season! There will be activities to join in with and the chance to win amazing prizes, alongside the biggest game of the season! It is NOT to be missed. Last year’s May Foundation Matchday raised a whopping £50,000 and we are aiming just as high this time! Come along and start your summer right, watching the clash of the titans and having a great time, all in aid of the Saracens Sport Foundation. If you would like to know more about what the Saracens Sport Foundation does and why we need your support, check out our Impact Report! Fancy helping out on the day? Email foundationinfo@saracens.net to find out some more information and become a volunteer at the event! 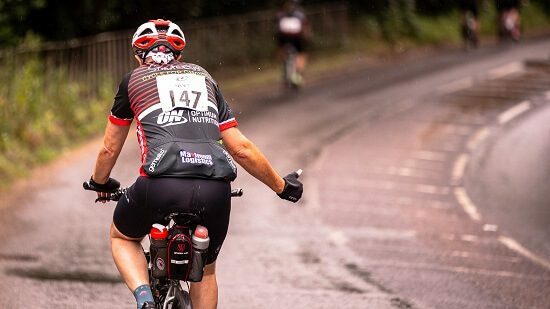 Spandex at the ready… the Saracens Cycle for Change is back for 2019! Check out our provisional routes (subject to change) to whet your cycling appetite and sign up today. 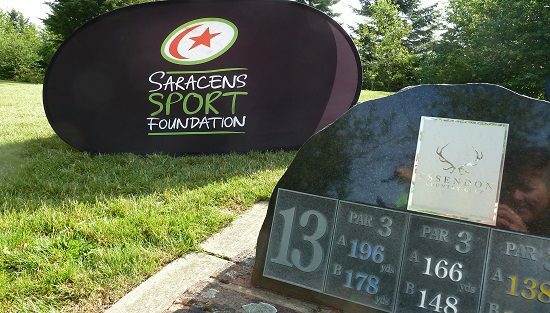 Take on the challenge to raise valuable funds for the Saracens Sport Foundation so that we can continue to make a difference to the most socially isolated groups in North London and Hertfordshire. If you would like to find out more about what we do, read about us HERE in our 2018 Impact Report. We would like every rider to aim to try and raise as much as they can for the Foundation. Every penny helps us to continue to change lives in the community. PLUS, if you raise £250 by the 9th July, you will be entered into a draw for a fantastic prize! If you’re interested in entering a self-funded corporate team, email SSFcycle@saracens.net for more info! So register now and get on your bike! Check out last year’s cycle HERE. There will be breakfast, lunch and some amazing prizes to win, alongside a round of golf on a beautiful course with an 8am shotgun start. You’ll also have the opportunity to see our amazing golf disABILITY programme Sarrie’s Swing. Sarrie’s Swing is an outreach golf programme delivered in SEN secondary schools to individuals with high functioning disabilities.This golf day acts as a showcase of our golf programme and our partnership with Essendon Country Club, with our participants able to show off what they have learned in the course. We are pleased to offer a variety of packages as well as an early bird deal! Please email foundationinfo@saracens.net if you have any questions.